Depth of Field Comparison. Examples of How You Can Get Unique Results. So, you want to find a depth of field comparison. This article will give you several examples of depth of field to compare and give you a simple 3-step method to try it on your own. You'll get a better grasp of this concept if you take a hands-on approach and experiment with a few different situations. Let's face it, you learn more when you try something yourself, rather than just read about it. Try this with your own camera and you'll find out how a comparison of f/stops will show you the depth of field changes you'll get. The comparison below was done by using a consistent distance between your camera, subject and background. The only difference in these three photos was the aperture (f/stop ) was changed. The camera automatically adjusted the shutter speed and that does not affect depth of field. 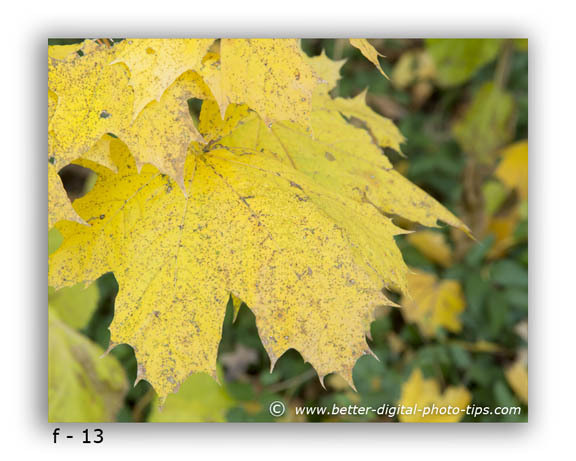 In the 3 photos of the maple leaf below, you can see the background is fairly well out of focus in all 3. Despite using a very small aperture of f-13, the background is somewhat blurred. The subject is so close to the camera that sharp focus falls off quickly even though the background was only a few feet away. Look closely at all three leaf photos to really notice the subtle differences in this comparison of depth of field, which I based solely on changing the aperture. Changing the aperture is the most often discussed factor when photographers try to control the depth of field because it is often the simplest to change. The diagram below (1.) shows the close camera-to-subject and subject-to-background distances which were present in the maple leaf photos and are also important factors in determining how much depth of field you'll get in your photograph. If both the subject and background were more distant from the camera, as is shown in diagram 2, an aperture of f-13 would render both the subject and the background in sharp focus. Often you get a more pleasing photograph with a blurry background or narrow depth of field because you have created more visual separation between subject and background. At f-4 you can see the the background is significantly out of focus as well as parts of the main subject, the brightly colored maple leaf. Taking the photo with a full-sized-sensor, Canon 5d Mark III, using a telephoto setting of 105mm at f-4, and having a close subject distance all are contributing factors that give us a shallow depth of field. In the scenario diagrammed below (3), you would need to use a tiny aperture, have a very small camera sensor like those in a cell phone camera, or have a very wide-angle lens setting to get both subject and background in focus at the same time. Composing with a close subject and a distant background is the technique to use when your really want your background to be significantly out of focus. If this depth of field comparison is all a bit too Geeky for you, you might want to read the page again and try to get just a basic understanding. Other related articles include a samples of deep depth of field and a general discussion about depth of field. Try photographing a subject that is somewhat close to the camera and where the background is not too far behind that. Use a tripod so that when you try the smallest aperture, the resulting slower shutter speed won't give you any unsharpness from camera movement blur. Shoot a photo where both the subject and the background are fairly close. Use an aperture priority camera setting so that you can change the aperture (f/stop number) and your camera will adjust the shutter speed to keep your exposure just right. Shoot 3 photos; one with the smallest f/stop number, one with the largest f/stop number, and one that is in the middle of the first two settings. Look at the three photos you took and see how the depth of field changed at the various lens aperture settings. Now, find a new subject or shoot with different subject and background distances. 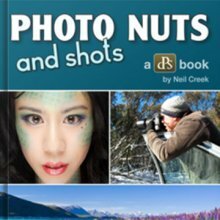 Shoot a few different subjects with various distances using the same technique. Looking for more articles on Depth of field. Use this search box and be specific with your search words. 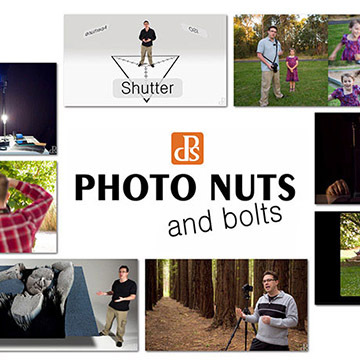 Have a blast with your digital photography! Shoot more photos and watch less TV. The best way to frame in your subject the exact way for each of your test shots is to use a tripod to hold the camera perfectly still. 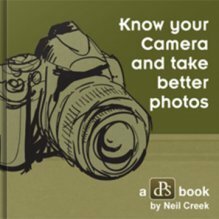 Use a shutter cord or the camera's self timer to prevent any motion blur from camera movement. Use Aperture priority mode and let you camera pick the correct shutter speed for the right exposure.